Two pilots have escaped injury after the plane they were in crashed on Illovo Beach on Saturday morning. Rescue Care spokesperson, Garrith Jamieson, said the incident happened just after 07:00 off Elizabeth Drive in Illovo Beach. “Paramedics responded to the call to find that the plane was lying on its roof,” he said. 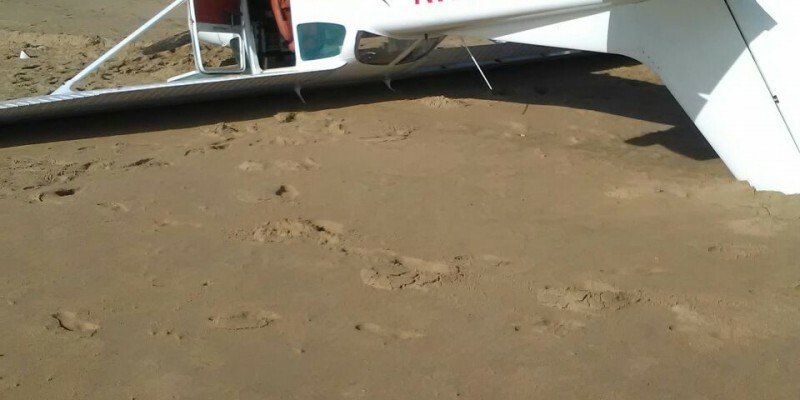 KZN EMS tweeted that the plane had made an emergency landing on the beach. Jamieson said the two occupants of the plane were found outside and had sustained no injuries in the crash. He said the events leading up to the plane crash were unknown, however all necessary authorities were on the scene and will be investigating further.